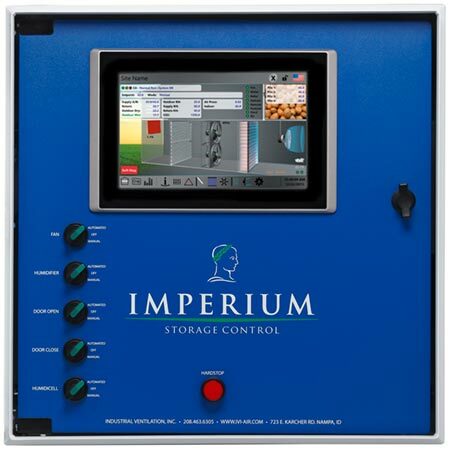 Our Imperium storage control panel easily and precisely manages storage climates by controlling fans, VFDs, evaporative coolers, humidification, heaters, refrigeration equipment, and Thermadoors®. Even in the most unfavorable external conditions, the Imperium can maintain temperatures within 0.1°F. Our stand-alone control unit easily and precisely manages storage climates by controlling fans, VFDs, evaporative coolers, humidification, heaters, refrigeration equipment, and Thermadoors®. 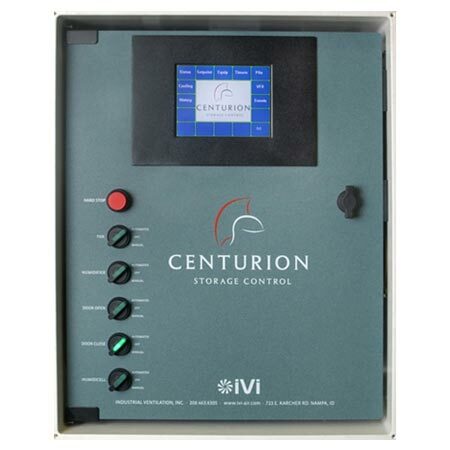 Even in the most unfavorable external conditions, the Centurion can maintain temperatures within 0.1°F. 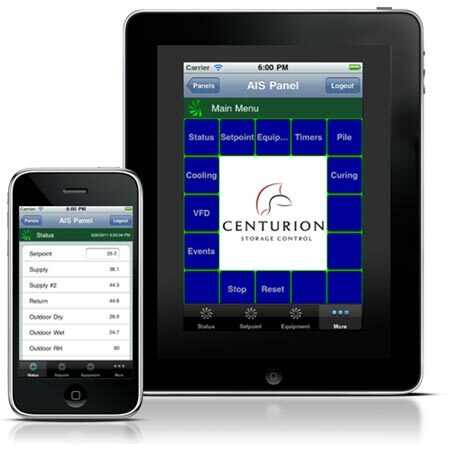 From wherever you are, monitoring and controlling your storage is right at your fingertips with our Imperium and Centurion storage control mobile app. 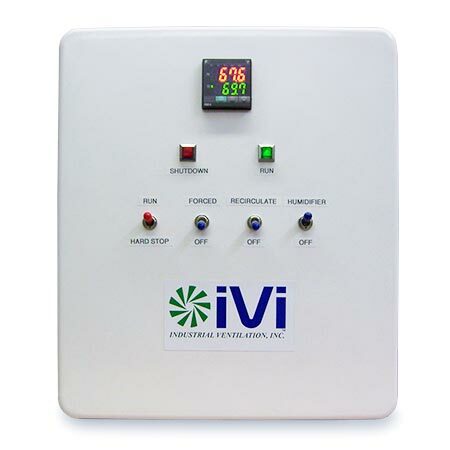 When your needs are for a small-scale storage unit, we offer our IVI Small Bin Control unit. Efficiently direct the parameters and conditions with this control unit, and protect your stored crop for optimal results when it’s time to go to market.